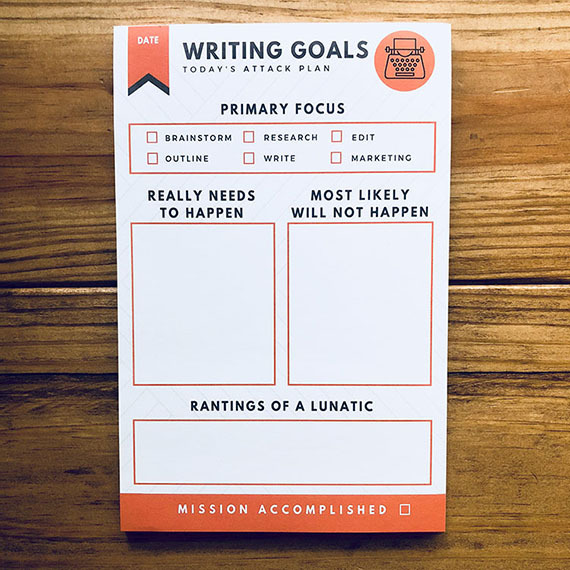 This notepad has been designed specifically for manuscript writing! We're pretty in love with it, and think you will be too. Notepad dimensions are 5" x 8'' (about the size of a paperback book), and includes 50 pages.